NRCS provides farmers, ranchers and forest managers with free technical assistance, or advice, for their land. Common technical assistance includes: resource assessment, practice design and resource monitoring. Your conservation planner will help you determine if financial assistance is right for you. Technical assistance is also available online through Conservation Client Gateway. 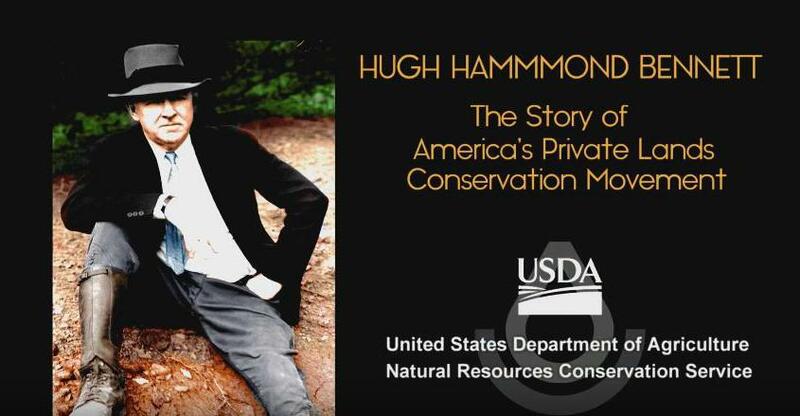 USDA Natural Resources Conservation Service (NRCS) presents a documentary on soil conservation pioneer Hugh Hammond Bennett, the history of our agency and the birth of the private lands conservation movement in the U.S.
videos, graphics, photos and other resources. and here are some useful educational resources! Just click on the image for more information.